I am glad that I have a category called “Weird and Wonderful” under which I file photos, because for pictures like these, it comes in handy. 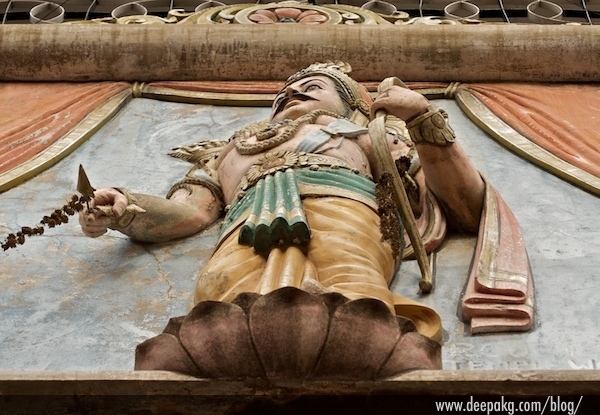 This shot was taken at Chickpet in Bangalore. This quaint building houses a camera shop where you can buy everything - from a B&W film roll to the latest and greatest gear for your camera (and indeed the camera itself). 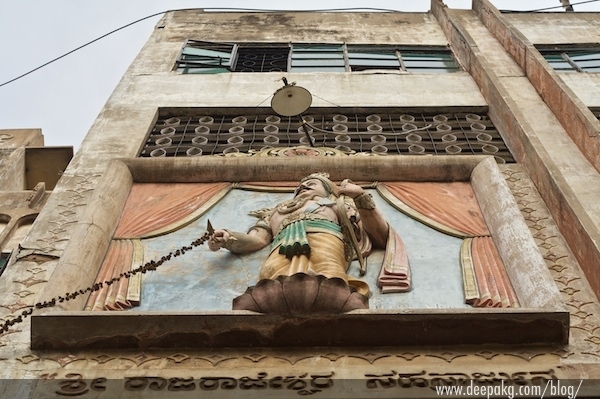 Sticking a colorfully painted statue onto a wall of a building might not quite agree with my taste but I’d prefer it over the monotony of glass and concrete that we see these days in Bangalore any day. p.s. The caption etched into the concrete in the first picture reads: Shri Rajrajeshwara Sahasrarjuna.